Children’s Hospital Colorado (Children’s Colorado) has defined and delivered pediatric health care excellence for more than 100 years. Founded in 1908, Children’s Colorado is a leading pediatric network entirely devoted to the health and well-being of children. 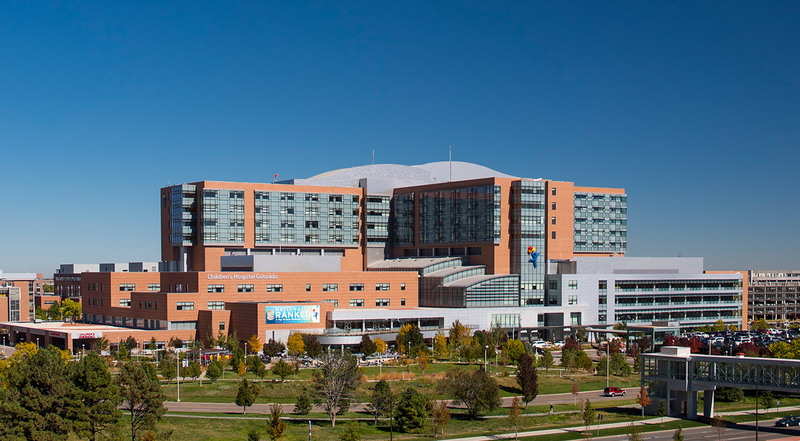 Continually acknowledged as one of the nation’s top 10 Best Children’s Hospitals by U.S. News & World Report and Parents magazine, Children’s Colorado is known for both its nationally and internationally recognized medical, research, education and advocacy programs, as well as comprehensive everyday care for kids throughout Colorado and surrounding states. Children’s Colorado also is recognized for excellence in nursing from the American Nurses Credentialing Centers and has been designated a Magnet® hospital since 2005. The hospital’s family-centered,collaborative approach combines the nation’s top pediatric doctors, nurses and researchers to pioneer new approaches to pediatric medicine.With urgent, emergency and specialty care locations throughout Metro Denver and Southern Colorado, including its campus on the Anschutz Medical Campus, Children’s Colorado provides a full spectrum of pediatric specialties.For more information connect with Children’s Colorado on Facebook, Twitter and Pinterest.